If you have read this lesson, you already knew how to pronounce ‘감사합니다’. 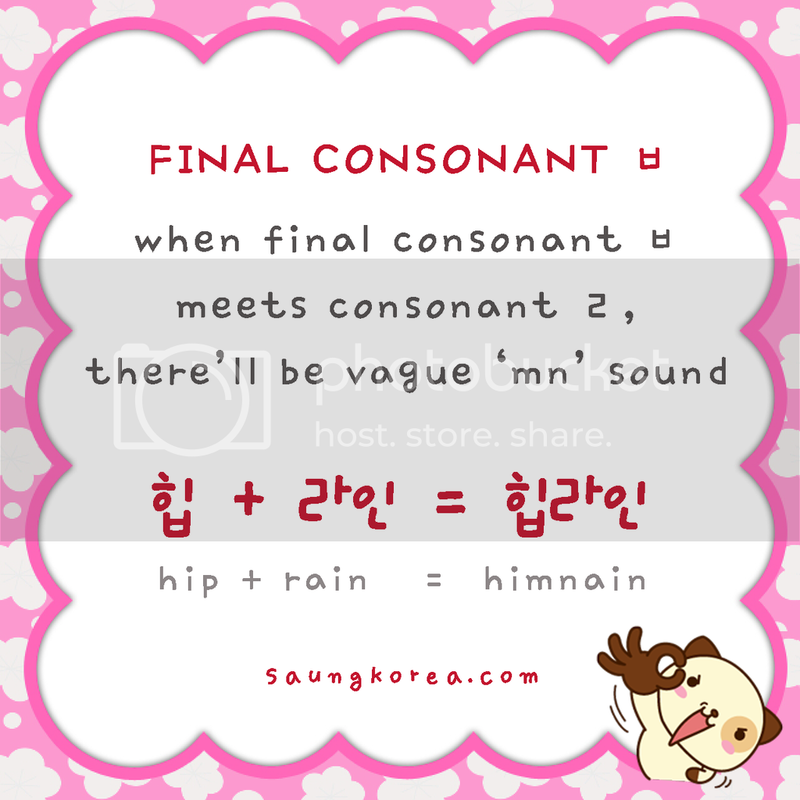 Similar to final consonantㅂ + consonant ㄴ, combination of final consonant ㅍ + consonant ㄴ will produce ‘m’ sound. You might be surprised if you don’t know about this rule before. Because the way a word pronounced is so different from how it’s written. 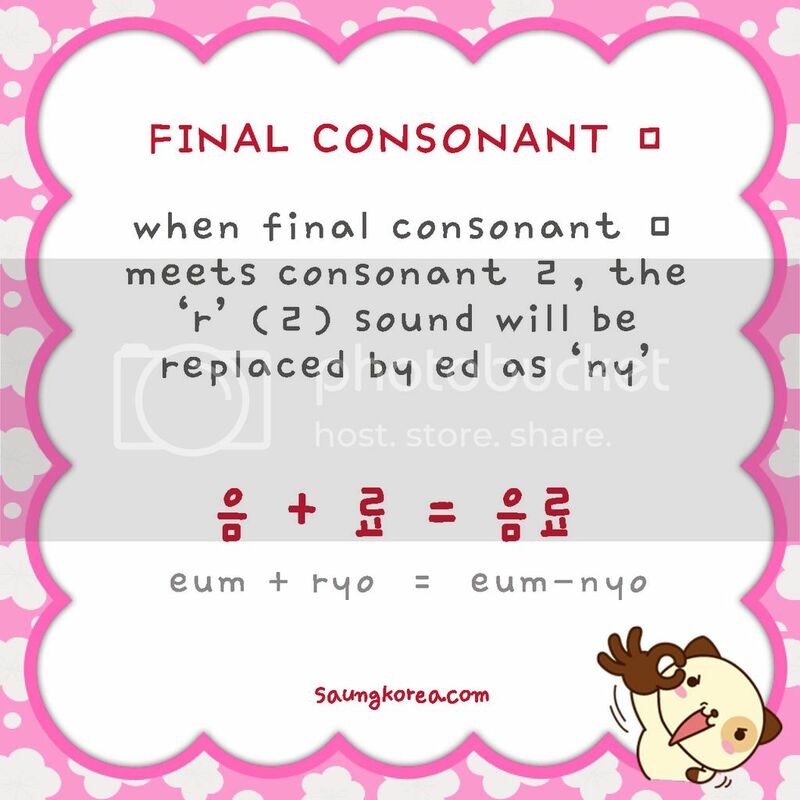 When final consonant ㅁ meets ㄹ after, the ‘r’ sound will be replaced by ‘n’ sound. For example, the word above pronunced ‘eumnyo’ , not ‘eumryo’. When final consonant ㄴ meets ㄹ, the ‘n’ sound in ㄴ will be replaced by ‘L’ sound. 원래 pronounced ‘wollae’. Which means ‘originally’ or ‘by nature’. 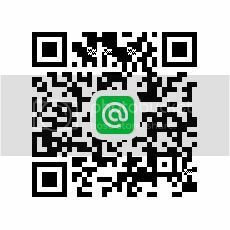 ‘곤란’ pronounced ‘gollan’, and it means ‘difficulty’. 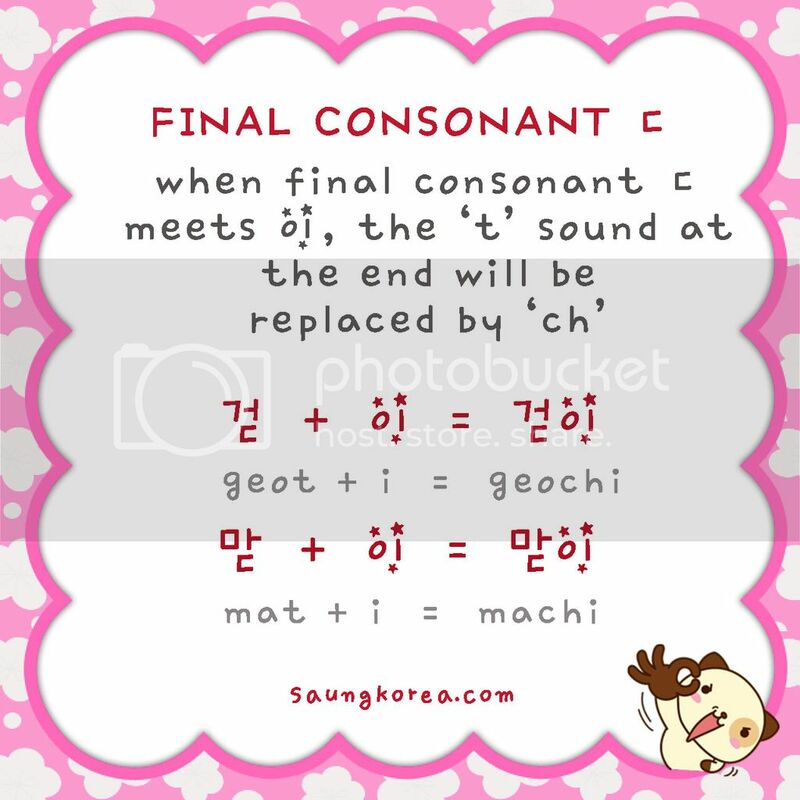 If you knew that there’s something special about final consonant ㅌ here, maybe you could guess what this rule is about. When final consonant ㄷ meets 이, it’ll be pronounced ‘chi’.